The goal of midiArranger is to add an Arranger functionality to a Synthesizer and offer an intuitive Piano Roll editing interface for quick and easy Style creation. It can be used as a Sequencer. It does not produce sound by itself, it communicates through MIDI over USB with an external Synthesizer. Create a Cloud account so you can backup and sync your Styles between multiple devices. midiArranger brings Style creativity at your finger tips... literally. Join midiArranger Community to find more. Notes and Midi Control events can be recorded from the keyboard. 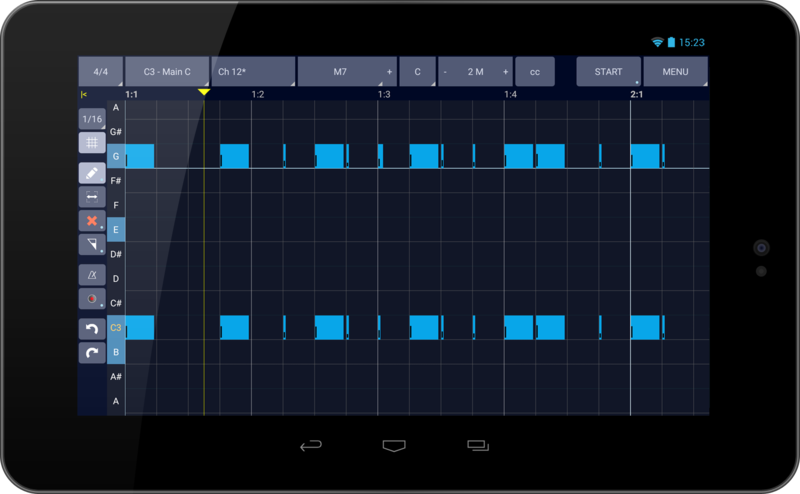 midiArranger can send MIDI clock events to your keyboard to synchronize tempo. Notes and Midi Control events can be added and tweaked while midiArranger is running. This allows you to change them until you are satisfied with the result. When playing live, midiArranger will recognized chords played on the keyboard and harmonize your arrangement accordingly. midiArranger also allows you to define specific patterns for different chord types. This allows different music nuances for different chord types. You can put Styles in Categories and Subcategories defined by you. Create an account on this website and you can synchronize Styles across all your devices. You will also get access to some public Styles and an Yamaha Style importer. 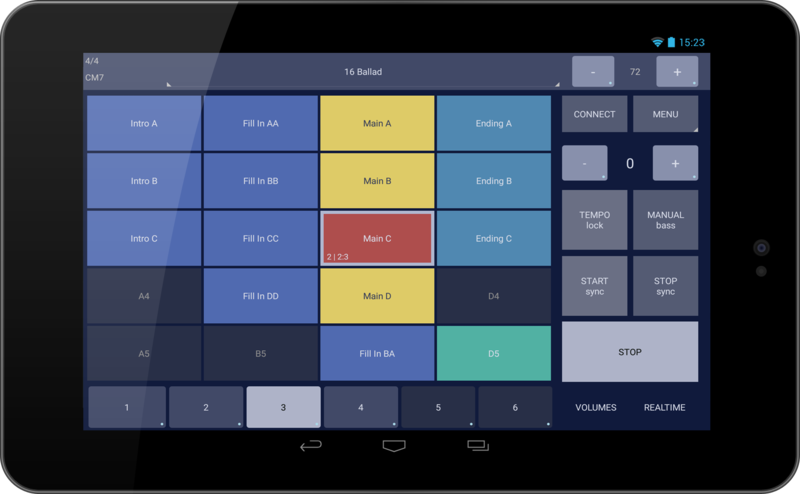 © 2013 - 2019 midiArranger, Music Auto Accompaniment Software for Android. All rights reserved.